Customer loyalty programs have often been problematic in the restaurant industry. They are tough to master and often lack the valuable insight owners truly need. Venga, a new guest management service, is looking to solve this problem. Venga combines several customer relation tools such as guest intelligence, loyalty, targeted marketing, feedback, and analytics. Its goal is to help owners know their guests, and know them well. Venga uses customer purchasing patterns and interests to provide owners with more opportunities to increase sales. If a customer frequently orders a bottle of Cabernet, for example, waiters can see this pattern and recommend a bottle during the customer's next visit. To add to this, Venga can also recognize when a customer hasn't stopped by in a while and send them a personal message containing special discounts or promotions to entice their return. 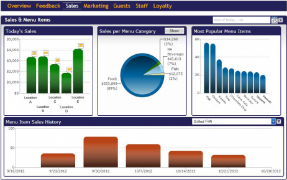 Through the online dashboard, restaurant owners can view detailed analytical reports. 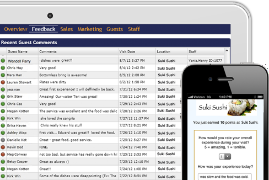 The dashboard connects directly to the restaurant's point of sale, and can track almost every piece of operation, including long-term trends. Most owners have to visit sites like Yelp to see what their customers are saying. With Venga, texts can be sent to customers immediately after their visit. They can then respond with a review of their service, and let owners know exactly what they thought about their experience. VengaIntel Reserve- Includes personalized service, targeted marketing, and feedback. VengaIntel Engage- Includes loyalty, feedback, targeted marketing, and analytics. Venga Instant Feedback- Includes feedback, targeted marketing, and analytics. It's rare to come across a customer loyalty program with all the tools Venga has to offer, but we know the price might be a bit more than most restaurants can budget. Packages range from $200-300 per month. However, if it's important for you to know more about your customers so you can enhance their overall experience, Venga might be worth a try. For a deeper look at Venga, visit their website, or find them on Twitter.